Poptropica is an amazing game and continues to grow in both registered users and game content. But what can you do when you are waiting for the next island to come out after you have passed all of the rest already? 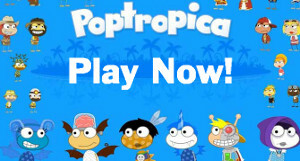 Why not play some online games like Poptropica for free?! Below I have posted a list of some great games out there that all share similarities to Poptropica in 2018. Some are packed with a bit more action but I think you will find you will enjoy them all if you tried them! 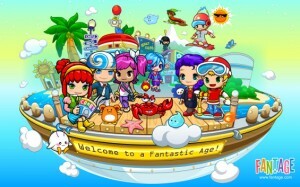 WoozWorld – This is a completely browser based online virtual world. It requires no download to play and is completely free. You basically create an avatar in WoozWorld and join a community of other players (millions at this point). So what do you get to do in WoozWorld? Well you can basically create your own virtual world by designing your own virtual space, throwing parties, hang with friends, play mini games and even join contents to win prizes. WoozWorld differs from Poptropica in the way that there is not really missions to complete. Still, it is a great game to check out. 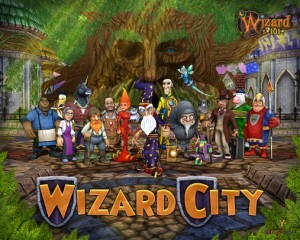 Wizard 101 – This game is similar to Poptropica in the way that you do have missions and adventures to complete. However, this is a world filled with magic and is full of action and spell battles. Not only can you complete the missions, but you can also battles other players. The graphics are amazing and the player base is huge. If you are ready for a step up in gaming then you have to try Wizard 101! The game-play is very much like Poptropica’s but the style of play is quite different! Just a heads up. Fantage – Fantage is one of the closest related games to Poptropica but I believe it is a step down in regards to age. I think older players play Poptropica and younger users stick with Fantage. Still, it has made the list and is a great game to check out. The walkthroughs are not as in depth and the game-play is not as intriguing but it’s up to you to decide if you like it or not! 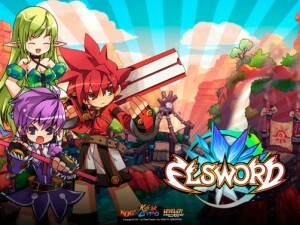 Elsworld – Similarities to Poptropica include style of game-play (Side scrolling map), completing missions, beating bosses, and graphics and design. However, this is more of an action packed “kill the enemy” game where you run through your enemies slashing and destroying them with your weapon of choice! It is truly a fun and amazing game but is a step up from Poptropica. I would recommend it if Poptropica’s game-play just does not excite you anymore! Here is a video with some previews of these games! Be sure to subscribe to our YouTube channel and follow us on Twitter and Facebook! I hope this helped you choose a game you were looking for in 2018. YAY! I’M ON CLUB PENGUIN TO! DUDE CHILL GET MEMBERSHIP IS NOT WHAT POPTROPICA IS ALL ABOUT MAN!!!!!! BUT ANYWAYS… I NEED MEMBERSHIP!!!!!!!!!!!!!!!!!! Does Anyone Know a way to get free membership? I want memebrship 🙁 I really like poptropica and I dont want to miss on anything cool. I dont wanna wait fot items and I think it isnt fair what members cans get and we never are able to get the… PET and stuff.. Sometimes on websites i just want them to have no membership and be all equal. I have residency on ourworld, but people always ask for gifts.. But on this website your on your own which i like. I want peace on poptropica. Dont you? WIMPY 2012 CODE (3 PAPER COSTUMES, KING, BIG BEN TOWER,AND PRINCE! Lets see i have need on cp (club penguin)wooz world, ANIMAL JAM, *POPTROPICA* , fantage!! DUDE I LUV ANIMAL JAM AND POPTROPICA I AM NOT MUCH IF A CLUB PENGUIN GIRL BUT THE OTHERS ARE OK…..
Soo soo true! Im getting a sixmonth membership.So no need to fear Membership Girl is here!!! I LOVE POPTROPICA I JUST LOVE IT!!! But i never played club penguin is it fun? Yea why dont you cheak it out go to clubpenguin.com and sight up I think you will LOVE it!!! yeah i have a club pehguin account its 20045dan. and we are kids we want to play it because it has lots of adventure. MY FRIENDS NAMED CLAUDIA AND WERONIKA (THEY ARE BOTH POLISH LIKE I AM.) PLAY ROBLOX AND I THINK IT IS Stupid WITH A CAPITLE S! I tried woozworld and downloaded wizard 101 but i havent played it yet…woozworld is a crazy place!! there is this game called Animal Jam. its really fun! fantage needs to grow up, wizard 101 is a rip off unless you have unlimited realms, and woozworld is just slow and pointless. POPTROPICA RULES!! Actually wizard101 is fun c: its not a rip off. Fantage is fun too u just have to adapt to how it works. Just give it a try. sorry about the mad face. It’s just my best friend is addicted to minecraft. yeah everyone plays it! I have never played it before. you follow the rules and stay healthy kids and stay in school!!!!!!!!!!!!!!! How about animal jam?there are lots of adventure and games over there! I also like Pirate101! You guys should try it. The creator is the same as Wizard101 and you also have missions. The fighting method is different but I think you guys a figure it out. You can also try pixie hollow, well, its not like poptropica but still, I like the game. But did you know the maker of diary of a wimpy kid made poptropica? And ps trying to keep us safe. Really???? Wow, I have been searching all over for that!!! Um, I’ve done those others before…. they’re BORING! Plz put something like moviestar planet, adventure quest worlds, Roblox and Club Penguin…. but more fun! msp is my life, MSP is as fun a poptropica, but ive passed every island on poptropica including the latest one virus attack, so now poptropica is kinda boring. i need new websites like popropica but biger more fun, and better. For girls there is sparkcityworld try it they have a bf update! You could put club penguin is the list above! Did you see the road to captain thinnknoodles? It is the most awesome serieal I have ever seen! Its about thinknoodles trying to play all the islands in poptropica to be Çaptain Thinknoodles’, The ultimate citizen of poptropica. He is also famouse for Club Penguin and Minecraft. You should try out Family Barn. I;m twelve, so I can’t, but you can play it o FB. I play it on ggg.com. It’s a GREAT site! Check it out. Btw, ggg stands for girls go games.com! And you should check out Kizi.com. They have both boy/girl games. And A10.com. Got any for 2014, y’all? Stardoll is like poptropica too……it’s for all ages……just make an account for free! guys friend my username! grapeapplesauceFreind copy the capitals copy it and paste it! in the comments i want to see add me comments then i will give you more friends to add! ok i guess i will give you another one ok you get the captaincrawfish 2 ways to friend them copy these names the first copy name is captaincrawfish and 2 copy affter captaincrawfish is copy captaincrawfish Ok! in the comments i want to see add me comments then i will give you more friends to add! please put animaljam and clubpenguin! I’m Pepperberry1 on club penguin. This is the only game that I like. No more. I think Poptropica is great for everybody because you can travel to any island including the two islands in the Poptropica Store. The first island is Early Poptropica and you name the second one. I know, I know. Stop talking about Club Penguin. Last time I played it I made my penguin and I only played once and then I had to restart. And this is POPTROPICA. Did you know I’ve got Thinknoodles in my friend’s list. I really dont like club penguin its plain boring unless you have a membership and if you dont have a membership you can barely buy anything. No offense club penguin lovers. Games i suggest: Animal jam, Poptropica, Minecraft, Fantage, Tfm (Transformice) and Roblox. to get member ship you have to go to the store and by a club panguin membership. Its really stupid though all u get is stupid cloes.